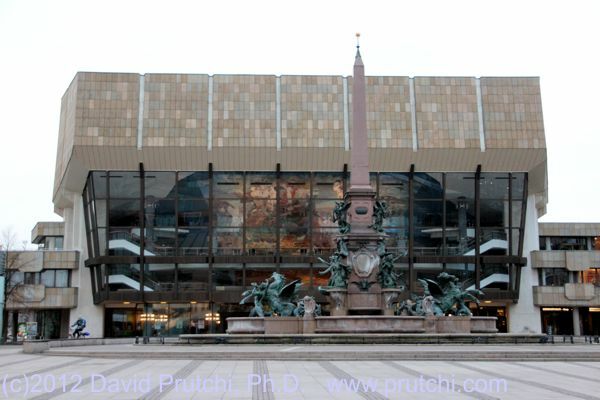 2 Weeks ago I visited one of our patients in Germany. 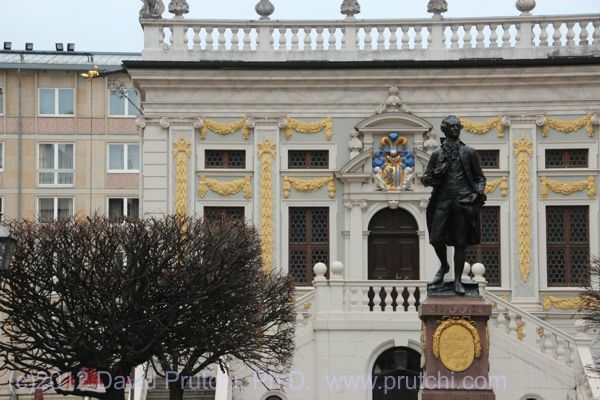 The hospital was close to Leipzig, and I had a few hours to stroll through town. 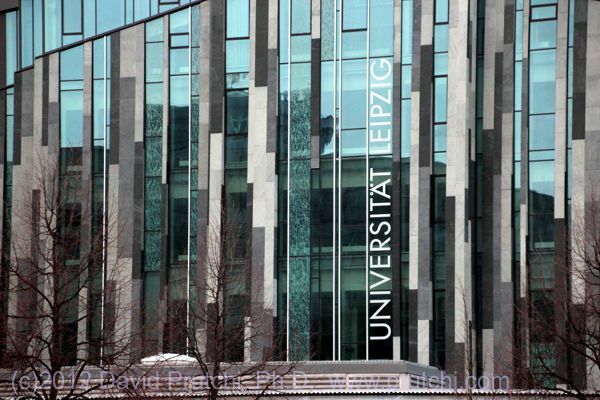 I went to the Museum in der Runde Ecke, which documents the power and banality of the former district headquarters of the East German State Security Service or “Stasi” in Leipzig, Germany. The exhibits are only labeled in German, but an excellent audioguide was available for 4 Euros. The museum is not at all like the “Spy Museum” in Washington DC. 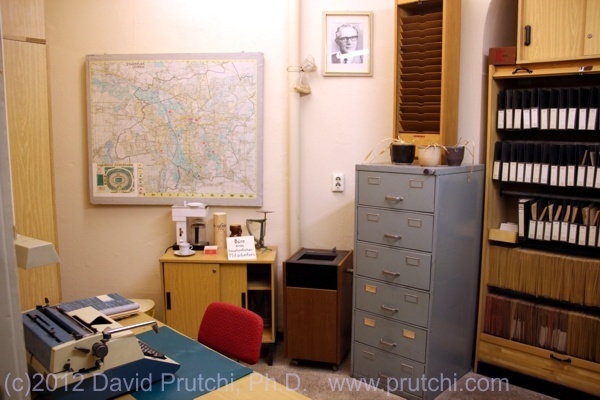 The settings and furniture are original, and those who were “guests” when the Stasi still operated say that it smells and feels as it did when it was engaged in its unsavory craft. 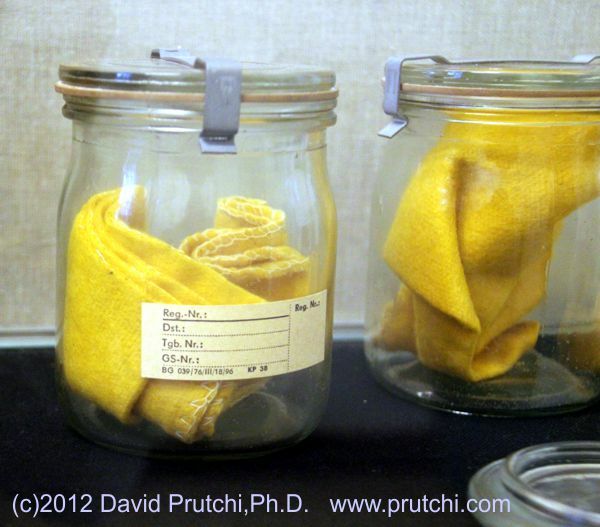 Odor archive of suspects at the Stasi Museum in Leipzig, Germany. 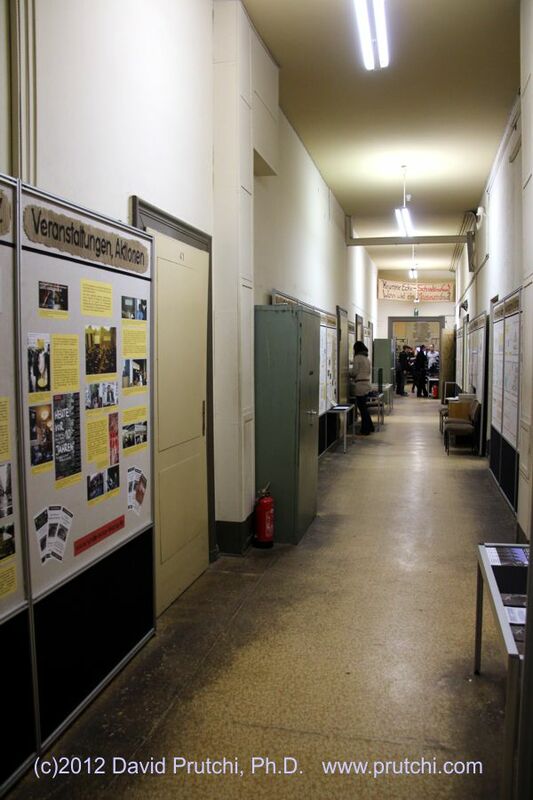 The exhibit that most called my attention related to the Stasi’s “Odor Archive.” Apparently, the Stasi often invited suspected activists to answer a few questions at the headquarters building. 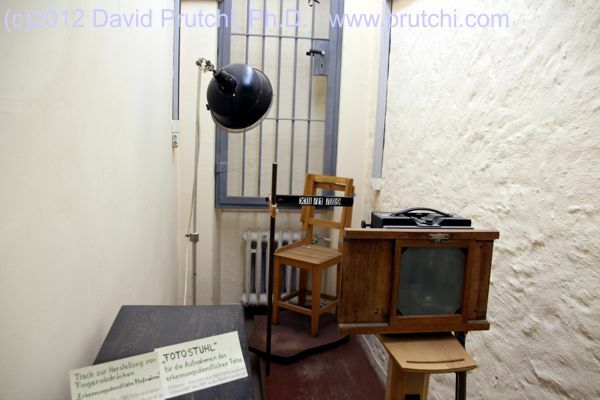 The invited person was asked to sit in an office to wait for the Stasi agent. The office was usually warm, and the wait took some 30 to 45 minutes. After that, the Stasi agent would ask a few simple inconsequential questions, and the suspect was allowed to leave. Unbeknownst to the suspect however, the fabric protector on the chair was then removed and carefully kept in an airtight jar as a sample of the person’s odor. Trained dogs were then used to identify the perpetrators of mimeographing and distributing anti-totalitarian literature. Being a photography buff, I also found interesting the museum’s photography exhibit. The Stasi had commissioned the development of a completely silent SLR camera to serve as the platform for their covert photographic surveillance. 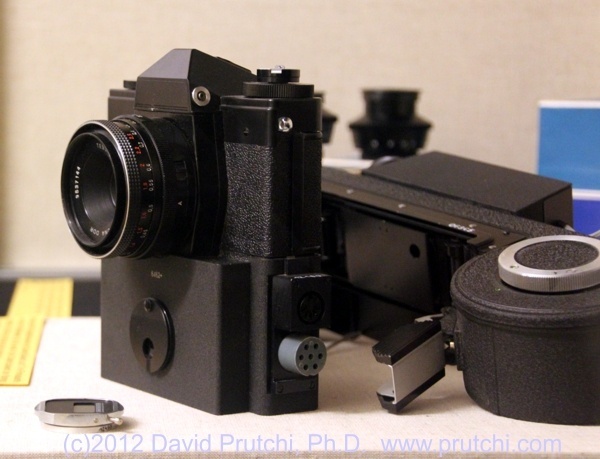 All sorts of lenses, remote triggers, and covert enclosures were designed for this camera. Attempted destruction of Stasi records prior to the conclusion of the 1989 Peaceful Revolution - The Stasi Museum, Leipzig, Germany. 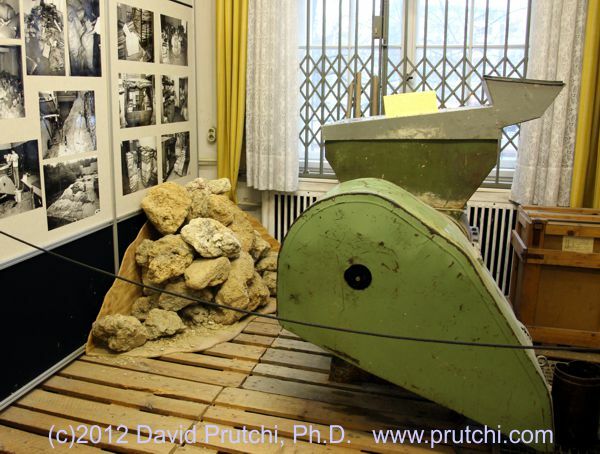 Towards the succesful conclusion of the 1989 Peaceful Revolution (which ultimately led to the destruction of the Berlin Wall), the Stasi tried to destroy its most compromising records by grinding them and mixing them with cement and water to turn them into rocks. 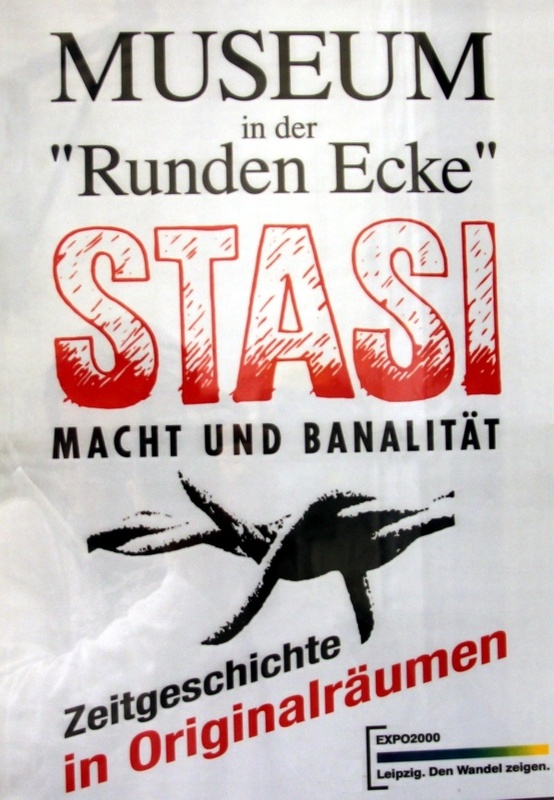 However, full copies of their microfilm backups remained, and today it is possible for any citizen to retrieve a complete copy of his or her former Stasi record from a computerized database. 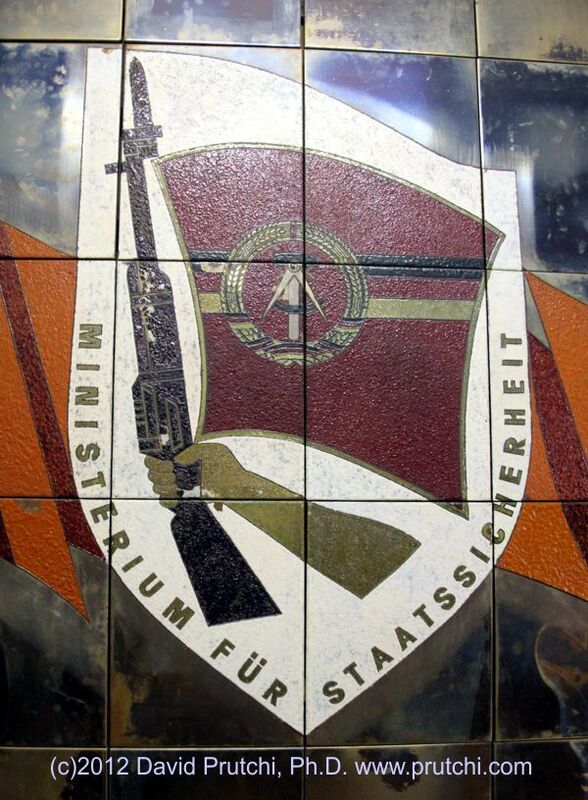 The Stasi Shield adorned the entrance to the main hall. - The Stasi Museum, Leipzig, Germany. Automatic phone tapping equipment at the Stasi Hedquarters. 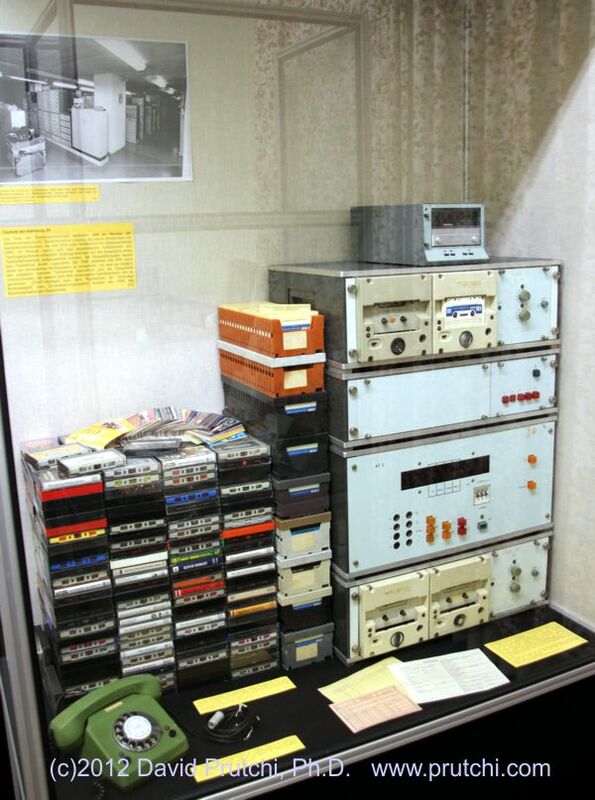 The Stasi used confiscated music cassette tapes sent to East Germans by their Western families. Stasi Museum, Leipzig, Germany. 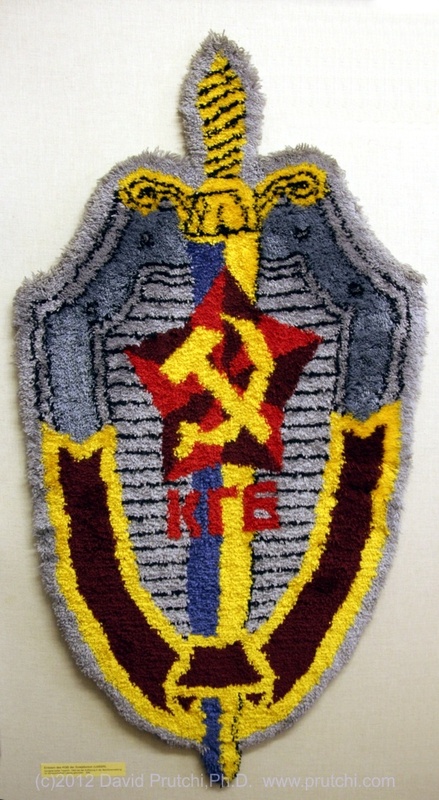 The seal of the KGB was part of the Directorate's floor carpet. 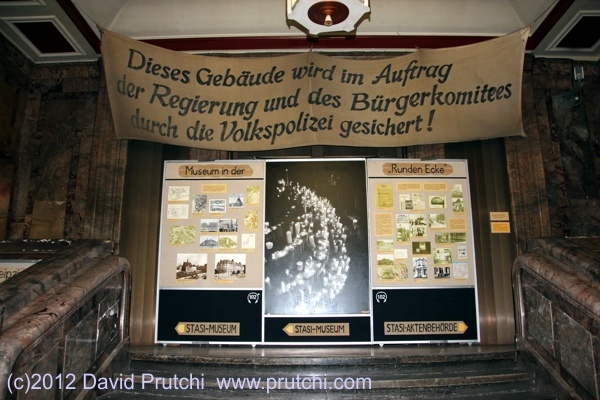 All important Stasi operations and decisions were cleared with the Soviet KGB. - The Stasi Museum, Leipzig, Germany.